A Castle Park High School senior was charged Monday with human smuggling and conspiracy to distribute illicit narcotics. 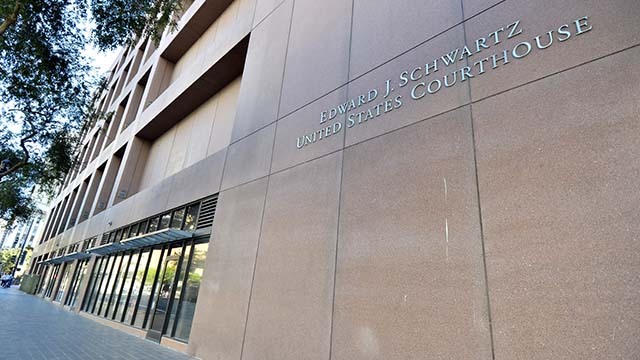 Phillip Junior Webb, who was arraigned Monday afternoon before U.S. Magistrate Judge Bernard Skomal in San Diego, faces 13 years to life in prison if convicted of the two charges facing him, according to federal prosecutors. The 18-year-old Tijuana resident allegedly recruited other high school students to smuggle fentanyl and methamphetamine into the United States on four occasions last summer and fall. In each case, the young couriers had drugs strapped to their bodies as they tried to cross the border through the Otay Mesa and San Ysidro ports of entry, court documents state. Webb was arrested Friday while allegedly attempting to smuggle two foreigners — a Chinese citizen and a Mexican national — into the United States in the trunk of his car. The case exemplifies “a very troubling trend,” according to San Diego-area U.S. Attorney Adam Braverman. Webb’s next court appearance in the case is scheduled for Thursday.